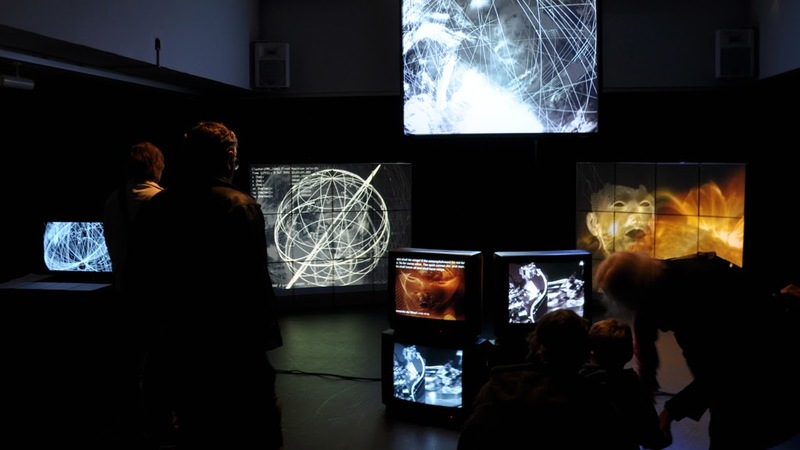 Trajectory is a sound and video installation using audio from the Earth Chorus. This consists of brief, rising-frequency tones that sound like the chorus of birds singing at sunrise, hence the name “chorus” or “dawn chorus”. Chorus at Earth is generated by electrons in Earth’s Van Allen radiation belts. Once generated, the chorus waves affect the motions of the electrons through a process called a wave-particle interaction. Wave-particle interactions disturb the trajectories of the radiation belt electrons and cause the electrons to hit the upper atmosphere. 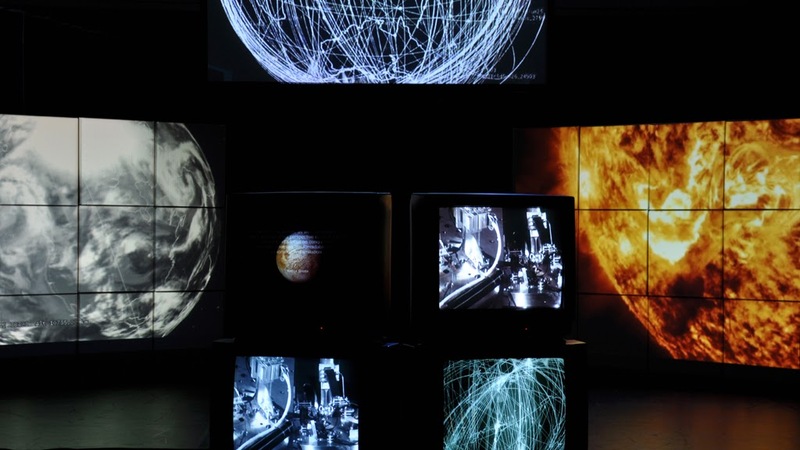 The Trajectory Installation was created by Andrew Williams (Level Director) in 2013 as a part of his Leverhulme Fellowship at the Space Research Centre, University of Leicester. The multi channel audio for Trajectory has been composed by shaping, filtering (removing unwanted frequencies to reveal the detail and texture of others) and spatially placing each sound within a multi speaker diffusion system to recreate the spatial qualities of the Earth Chorus within the gallery space. Although it has been composed and therefore treated within a musical structure, it remains a true record of the original data.